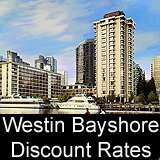 A Look at May Weather in Vancouver, BC Canada, plus Rainfall Statistics and Averages for Vancouver Island and Whistler. City of Vancouver in May! Tourists from all over the world begin their annual trip here. If you’re visiting with your camera, good news: It’s been our experience that May is one of the best times to take pictures in Vancouver. The average temperature for May in Vancouver is 12 degrees C.
Coolest Temps: The average nighttime low for the month of May is 8 C.
What to Wear in Vancouver in May: It’s a good idea to bring along a light coat for late spring in Vancouver. While the daytime temperature feels quite pleasant, the evenings can still be a little on the chilly side. If you’re thinking about weather for the May 24 Victoria Day long weekend, remember that in general the closer you are to the coast & water, the more you’ll feel the cooler temps. On average, there are about 12 rain days in Vancouver for the month of May (but for most of those, the amount is only about 3 or 4 mm). Precipitation is usually in the form of rain, although it can still snow in the higher elevations of North & West Vancouver in May. 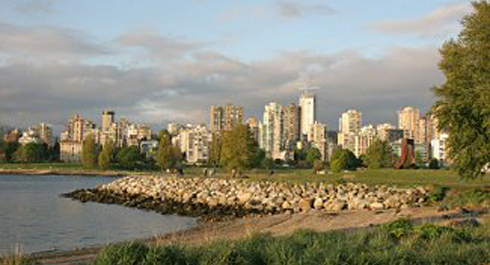 Sunrise and Sunset Averages for Vancouver in May: The time of sunrise in Vancouver in May ranges from 5:50 AM to 5:12 AM, and the sunset times in May are from about 8:30 PM to 9:09 PM. Driving to Whistler in May usually presents no problem, as the Sea-to-Sky Highway is usually dry with good visibility. Traffic levels are about medium as it's between the high-seasons of winter and summer. 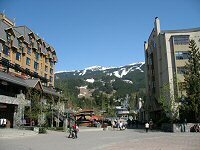 Average temperatures for Whistler, BC Canada in May are daytime highs of 17 C (63 F), nighttime lows of 7 (44 F), with an overall mean average temperature of 12 degrees C (54 F). These are averages for Whistler Village and Creekside - the top of Whistler and Blackcomb Mountain is up to 10 degrees colder. Average snowfall amounts for Whistler in May can vary from as little as 2 or 3 inches to as much as 20 inches or more. Vancouver Island temperatures in May are similar to that of Vancouver and the Lower Mainland. 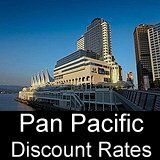 The average high temperature for Victoria, BC is 16 C (61 F) and the low is 8 C (46 F), for an average May temperature of 12 C (54 F). May is the start of the "dry season" in Victoria, with just over an inch of rainfall on average during the month.